Minimum quantity for "Home Windmill Sign" is 2. 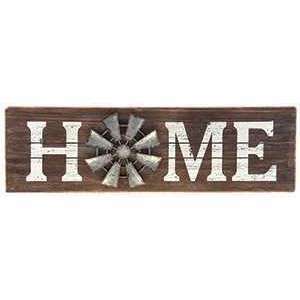 This farmhouse-fresh wood slat sign measures 24" x 7" and features a galvanized metal windmill in place of the letter "O". The rest of the letters are written in bold white, distressed paint.